Norman Archibald Chambers was born in 1895 in Ilkeston, Derbyshire, the son of Frederick and Margaret Chambers and was christened on the 9th June 1896 at St Bartholomew’s Church, Hallam Fields, Derbyshire. He had two brothers, James who was a year older and John, three years younger. In 1901 the family were living in Stanton by Dale and Norman's father, Frederick, was an iron foundry manager. The family were still there in 1911, but later moved to Hart Lea Town Street in Sandiacre - which was demolished in the 1960s. 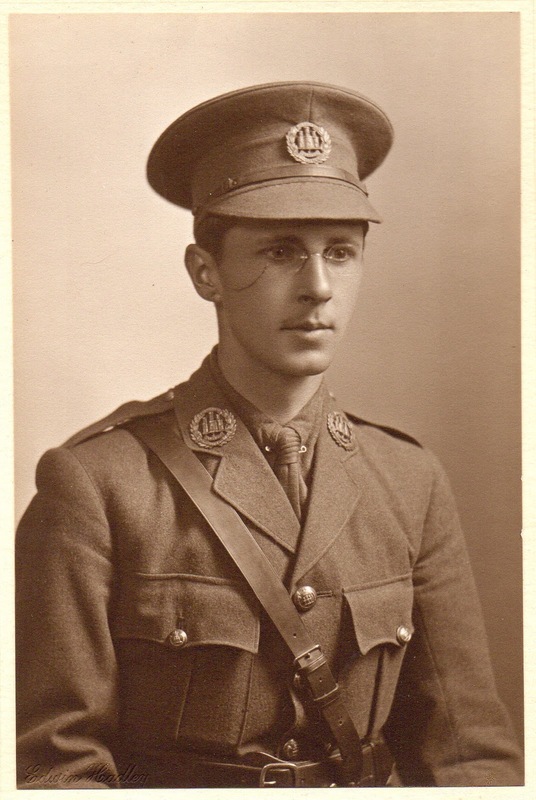 Norman served with the Northamptonshire Regiment in World War 1 where he was wounded during the Battle of the Somme and died from his wounds on the 17th August 1916. He was awarded the service medal and victory medal. Second Lieutenant Chambers is buried at Puchevillers British Cemetery north-east of Amiens in France. This was a casualty clearing station during the Somme offensive. 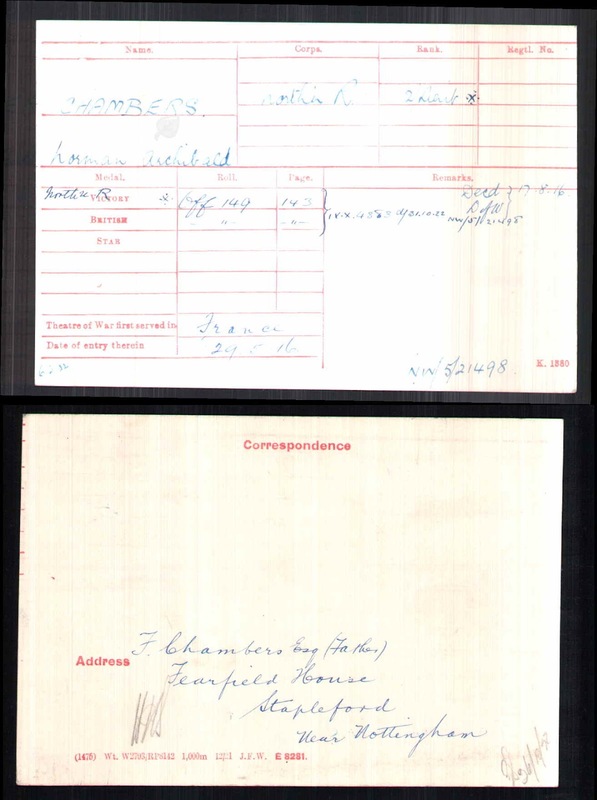 When he was based in Etaples, Norman wrote to his mother and signed himself off as 'your loving son, Norman.' 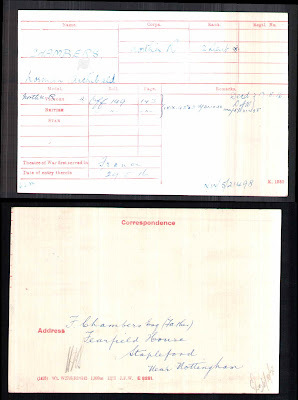 His letters can be seen on the Lives of the Great War website.